Our vision is to foster and nurture the practice of all aspects of photography in an environment that is relaxed, supportive and enjoyable. We currently have over 100 members, ranging in experience from novice to professional. We meet formally on the 2nd and 4th Wednesdays of each month from 7.30pm at the Beaumaris Community Centre, 66 Constellation Drive, Ocean Reef, WA. The first meeting of the month is our competition night and the second meeting is for Guest Speakers, Tuition or Workshop Activities. Our competitions are externally judged and are an important component in improving our members photography skills. We have a membership of over 100 we have members from as far afield as Floreat and Yanchep. Competitions normally have a Set Subject and an Open Subject each month in each of the mediums of Colour Prints, Monochrome Prints and Projected Digital Images. 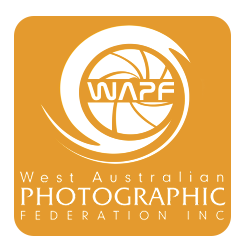 NEPG is affiliated with the West Australian Photographic Federation (WAPF) along with other W.A. Photographic Clubs involving well over 500 photographers in this great State. The Club also has much to offer beginners, including advice, education, motivation, excursions, studio lighting and lots of FUN. Should you decide to join our group after a few meetings as a visitor, the annual subscription is $70.00 plus a $2.00 door fee on the nights you attend. There are discounts for concession card holders, couples and families. The urn is always boiling in the Kitchen, so please feel free to join us! This is the major highlight of our monthly calendar and it is a chance for members to enjoy the work of other photographers in the club but more importantly to socialise and enjoy the company of other like minded people. Workshops can range from talks by prominent photographers or hands on subjects such as Camera Techniques, Flash, and Post Production & Workflow. We make a huge effort to make these nights a benefit to members so please check the calendar of events to find out what is coming on workshop nights. The Photomarket, which has been running since 1987, is held at the convenient location of Leederville Town Hall and brings together a wide range of cameras and accessories under one roof. Our vision is to foster and nurture the practice of all aspects of photography in an environment that is relaxed, supportive and enjoyable. 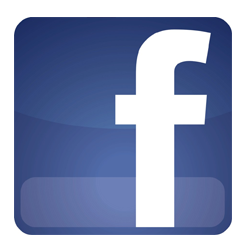 NEPG is affiliated with the West Australian Photographic Federation (WAPF) along with other W.A. photographic clubs involving well over 500 photographers. If you want to improve your photography, this is the place to be!